Excerpt from my book KOLAR GOLD FIELDS DOWN MEMORY LANE - Paeans to lost glory!!!! The KGF First Grade College was started in 1962 to cater to the higher educational needs of the predominantly socially challenged communities of KGF comprising mostly of children of the mine workers since they couldn’t afford to send their children to Bangalore or Mysore for their college education. 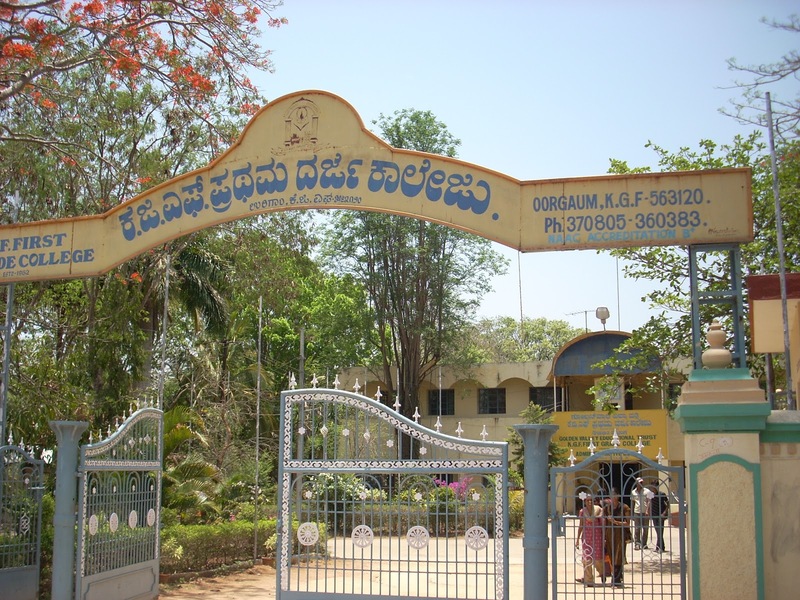 The Government of Mysore established an Undergraduate College known as the KGF First Grade College in Oorgaum in the year 1965, which was affiliated to the University of Mysore and then later to the Bangalore University. This Government run First Grade College admitted every student seeking admission to the Pre-University and Degree Courses irrespective of whichever school they came from, provided they had passed the SSLC and PUC examinations. It was a secular institution where all the students were treated equally irrespective of their social standing and religion. 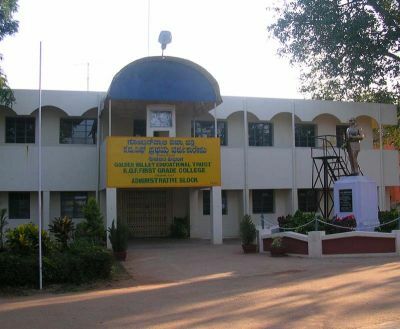 I was privileged to study in this College for my BA during the years 1969 to 1974. I am grateful to my teachers and lecturers in the college for what I am today. I was very thrilled to learn about a book in memory of KGF. I was born and brought up in KGF. As I read I felt like walking back in memory of my school and college days. I have never visited the city since I koved to USA(1995) but hear all the news of a forgotten, shrinking city with arrest of all developmental activities. Hope to visit some time to go back in my memeory. I Studied in LENDSEY MEMORIAL SCHOOL IN 1976 in X TH STD now I am working in NMDC AS manager electrical in chhattisgarh, before in 1984 I worked in CHAMPION REEF mine gifords as foreman electrical now I am 58 years old, by 2017 I am going to retire and come to bangarpet because I have made a house in bangarpet and settele there my mobile no is 9406005415.